Departing Toronto in early morning for Thousand Island (*seasonal Apr to Oct). Upon arrival, enjoy a relaxing boat ride cruising along the St. Lawrence River. 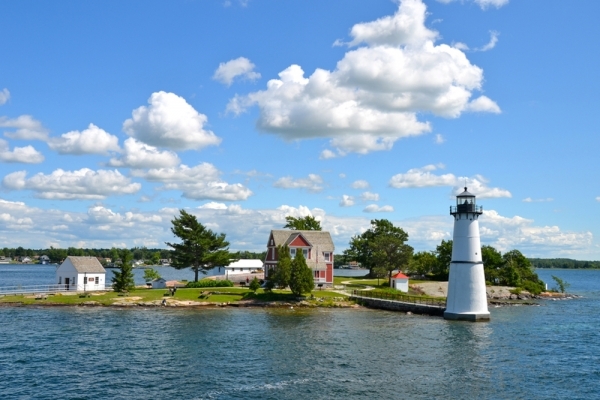 You will have a chance to view the world famous Boldt Castle, Zavicon Island and Millionaire’s row. Continue your journey to Montreal. You will first have a chance to visit the Montreal Tower where the 1976 Summer Olympic Games were hosted. You will then visit Botanical Garden, is recognized as one of the world’s greatest botanical gardens. With its collection of 22,000 plant species and cultivars, 10 exhibition greenhouses, Frédéric Back Tree Pavilion, and more than 20 thematic gardens spread out over 75 hectares, it’s also a perfect place to enjoy fresh air and natural beauty. You will then make your way to Old Montreal to see Montreal’s Chinatown and the famous Notre Dame Basilica (photo stop). *Montreal Biodome will be reopening on 2019 Sep. we will visiting Montreal Biodome instead of Botanical Garden. Start your morning sightseeing with Mount Royal where the city is named after. You will then visit the famous St. Joseph’s Oratory, regarded as the largest church in Canada. Today’s journey then brings you to Old Quebec City where many historic European style buildings are well kept. 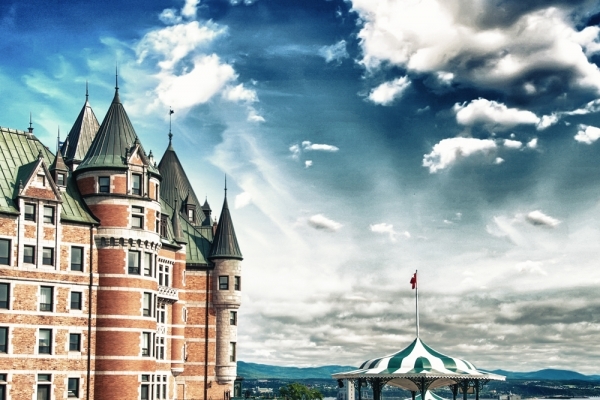 Check out the Fortifications of Quebec, Chateau Frontenac, and Quebec’s Parliament Hill. Perhaps also sip a cup of coffee at the sidewalk café to explore local life style. Return to Montreal in the evening. Departing early morning for Canada’s Capital city, Ottawa. Sightseeing in Ottawa includes the Parliament Hill and Peace Tower, Centennial Flame, Rideau Canal, Canadian War Museum and Civilization Museum. After lunch time, you will start your way back to Toronto via Kingston. Kingston was once the capital city of Canada. You will have a chance to visit Kingston Fortress and the Old Parliament House (now Kingston’s City Hall). Arrive Toronto in the late evening. *During Canadian Tulip Festival (May 10 to May 20, 2019), will visiting Dow’s Lake instead of War Museum. Proceed to ones of Ontario’s must-see attractions, the beautiful Bruce Peninsula. Bruce Peninsula offers tourists miles of majestic shoreline, clear-blue waters, amazing coves, sandy beaches, limestone cliffs, quiet wooded trails and many extraordinary scenery. Take a glass bottom boat or jet boat tour from Little Tub Harbour in Tobermory. Pass by the dock for the car ferry Chi-Cheemaun which runs to Manitoulin Island. Next we see Tobermory's other harbour marked by Big Tub Lighthouse, built in 1885, and view two shipwrecks at the head of Big Tub Harbour, both shallow enough to be visible from the sides of the boat as well as through the glass bottom viewing area. Then the boat ride is off to the destination - Flowerpot Island, part of Fathom Five National Marine Park. Famous for the two "flowerpots" on its eastern shoreline. *Due to weather conditions if the boat ride is not operating, will change itinerary to Blue Mountain village instead. Nestled between the foot of the Niagara Escarpment’s scenic Blue Mountains and the rugged shores and crystal clear waters of Georgian Bay, the picturesque Blue Mountain Village is Southern Ontario’s premiere four season destination. Departing early morning to the world renowned Niagara Falls via Downtown Toronto. Upon arrival, begin your Falls experience with an IMAX movie - Niagara: Miracles, Myths & Magic, to learn about the shocking and exiting history of Niagara Falls. You will then go up the Skylon Tower for a panoramic view of the magnificent Horseshoe Falls, the American Falls and the Bridal Veil Falls. After lunch, ride with the famous Horn blower cruise (seasonal) for a close-up view of the magnificent Falls. Pay a visit to the Niagara wine region for a taste test of our world famous icewine before heading back to Toronto. Departing early morning to Downtown Toronto. You will first make photo stops at the Legislative Assembly of Ontario, University of Toronto and Toronto’s Chinatown. 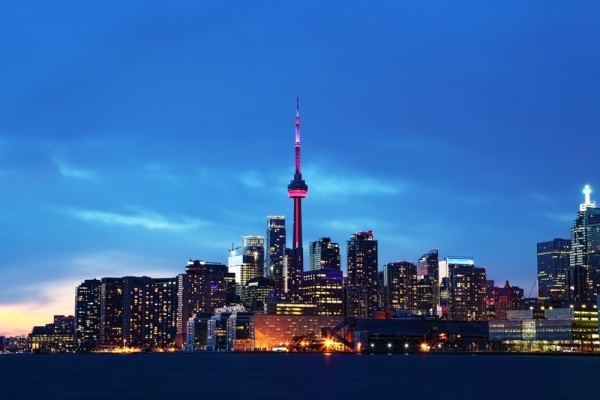 You will then have a chance to climb up the CN Tower, a signature icon of Toronto's skyline and a symbol of Canada. On the observation deck, enjoy a panoramic view of Lake Ontario and the city of Toronto. If weather permits, take the sightseeing Central Island Cruise across to the Toronto Islands. Have a walk on the islands and enjoy the beautiful view of Toronto skyline. After lunch, you will visit another Toronto landmark, Casa Loma. Constructed over 100 years ago, Casa Loma is noble, mystical and exquisite. Casa Loma’s 5 acres of private gardens with all sorts of flowers flourishing, is now the preferred photography attraction in Toronto. Afterwards, transfer to Toronto Airport for your onward flight. Please book flights leaving after 8PM. * Central Island Cruise will close on October，replaced by visiting the Ripley's Aquarium. 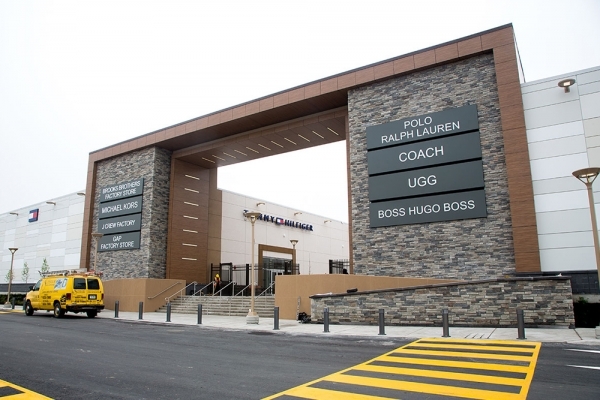 Outlet Collection at Niagara is Canada’s largest open-air outlet shopping centre with a square footage of 520,000. Located in the beautiful Niagara-on-the-lake just off the QEW, the refreshing new outlet concept features 100+ irresistible outlet brands including Tommy Hilfiger Outlet, J. Crew Factory, Nike Factory Store, Coach, Fossil, Bench Factory Store, Lacoste Outlet, The North Face and Marshalls — all at outlet price. At the south end of the property a food court called “The Eatery” is home to many delicious food options — it can’t be missed. Afterwards, transfer to Toronto Airport for your onward flight. Please book flights leaving after 8PM. Included Thousand Island Cruise; St.Joseph Oratory; Montreal Tower; Botanical Garden ; Canadian War Museum; Canadian Civilization Museum. Included：St.Joseph Oratory; Montreal Tower; Botanical Garden; Canadian War Museum; Canadian Civilization Museum. Includes 3 lunch & 2 dinner, special introduce the three courses Genuine French cuisine lunch at Old Quebec City. Admission tickets bought through sellers other than our company (e.g. City Pass) are not applicable to the tours. Itineraries are subject to change or cancellation at any time due to any unforeseen conditions, including but not limited to, adverse weather, traffic problem, etc. 1. Changes and Cancellation request must besubmitted in writing via email or fax to Compass Vacation. 3. No price changes are permitted after thecustomer has paid in full. A: Minimum deposit of $100.00 CAD non-refundableper person at the time of reservation. 4. Please be at pre-arranged location 15 minutesprior to departure time. 5. No show on the day of departure is 100%non-refundable. 6. Any pre-purchased tickets, admission, and mealfee are non-refundable. 7. Admission tickets bought through sellers otherthan our company (e.g. City Pass) are not applicable to the tours. 8. If full payment not received within 31 daysprior to departure, Compass Holidays has the right to cancel reservation withno refund. 9. Your room types are based on hotels' ownstandards. We can require your needs but not guarantee. 11. Itineraries are subject to change orcancellation at any time due to any unforeseen conditions, including but notlimited to, adverse weather, traffic problem, etc. 12. Passengers are responsible to keep and protectyour personal property and personal belongings. 13. Compass Vacation reserve the rights to modifythe itinerary, meal plans and hotels without liability. No partial refund onany unused services. 14. All passengers are STRONGLY URGED to take ouradequate insurance coverage to protect yourselves against cancellation due toillness prior to or during the travel. 15. Prices or information could be different onyour next website visit or session. We don’t accept price adjustment. 16. Minimum of 20 passengers is required forguaranteed departure. Compass Vacation reserves the right to cancel the tourwithin 5 days prior to departure with full refund value of the package pricebooked. ***You have read, understood and accepted theabove terms and conditions.